LinkedIn are making big changes that will affect just about every aspect of using the site. LinkedIn says that they want the interface to be consistent between desktop and mobile. From what I can piece together, this means the interface is getting stripped back and we will lose a lot of useful features. All profile pictures will become circular. That might mean you have to change it, especially if you have a border on your current pic. The Summary section will be elevated to the box at the top of your profile. This means that only the first couple of lines will be immediately visible without clicking a see more… link. It is worth thinking about writing a new elevator pitch that fits in around 200 characters. Rich content is set to disappear. This means that if you share presentations, videos or photos on your profile under your summary or job roles, those will disappear. This is a great shame as that was a great way to make your profile stickier. It’s also quite a surprise, as LinkedIn owns SlideShare. Who knows, maybe there is some other SlideShare integration coming later down the line. You will no longer be able to edit the way your company name is displayed. This was a very useful feature for those in large companies, allowing them to be specific about which part of the business they were in. This could prove a problem for those working in RPO teams, as you will no longer be able to list your client’s name in this field. You will no longer be able to choose the order in which your experience is displayed. The role you started most recently will automatically appear at the top of the list. This could be a problem for people with multiple current roles, such as myself. Recommendations now have their own section. What I have heard about recommendations make the feature sound very buggy so we don’t really know how recommendations will work going forward. Changes to company pages have been out for a while so we know a little more about how they will look and function. Some larger businesses already have the new look company pages – take a look at LinkedIn’s own page to see what changes you can expect. Features like Company Photos and Employee Insights (LinkedIn posts from employees) will make company culture more visible and open by default. It looks like we will see vast improvements to the analytics available for company pages too. I do not know if you will need to be corporate customer to access them – I certainly expect so. One thing that I will miss is being able to see the breakdown of 1st, 2nd & 3 degree connections you have at any given company. While you can see how many 1st degree connections you have within a business, there will no longer be an easy way to see your 2nd degree connections. This was always a useful way to look for prospective new connections. LinkedIn has already made significant steps to transform your LinkedIn inbox into something that more closely resembles an Instant Messenger (IM) platform. You should expect this to continue. The new chat interface will be available no matter where you are on the site, making it much quicker and easier to start chatting with someone. It will even make smart suggestions of people for you to contact. For example, if you’re on a company page, it will show you who you are connected to at that company. Microsoft’s acquisition of LinkedIn makes it possible that we will one day see integration with Skype. We can already IM our connections, imagine being able to call them directly within LinkedIn… Brilliant! LinkedIn messages on mobile will even integrate with automation services like Siri (on your iPhone), so you can instruct your phone to message someone via LinkedIn. Like Facebook, we should soon expect to see the addition of chatbots to LinkedIn messaging as well. These could help us with simple tasks like finding a good time to meet with one of our connections. This is a new feature, launched last week in the US, Canada and the UK. LinkedIn is essentially attempting to complete a giant salary survey. You can visit linkedin.com/salary to search for your job title in your location and compare your salary/package with others in the same area. The feature doesn’t seem all that intelligent right now as everything seems to be based purely on job title, but it is certainly an ambitious feature with the potential to get smarter. The changes to search are worrying. Anyone using non-standard wording on their profiles could be excluded from our search results. I think it will lead to a lot of recruiters finding the same profiles. Some in-demand, and already jaded, users of LinkedIn could find themselves on the receiving end of even more InMails spam. I don’t think it would be going too far to say that LinkedIn no longer supports Boolean search. For a breakdown of search changes and issues for all the different levels of LinkedIn user, read on. ..
Advanced search is gone. There will no longer be an option to choose the detailed Advanced Search panel rather than using the large search box at the top of the page on LinkedIn.com. Once you run your search you will get filters to narrow down the results. These filters will be made up of Relationship (1st, 2nd or 3rd degree connections), Location, Current Company, Past Company (limited to the top 5), Industries, Profile language, Non profit interests and School.The filters will no longer break down the number of profiles for each option. So you won’t know how many there are until you use the filter. Post code searching will no longer be possible. You will still be able to search by location but this will seriously limit your results if you do not anticipate all the relevant location names. Anyone choosing to display a small village or a borough of a large city as their location could be missed. All your search terms will be treated as general keywords. If you search for a job title like Project Manager you will no longer be able to specify whether that appears in the title field, let alone whether it is related to a current job title. People that did one role as a project manager, 20 years ago, will come up in your results. If someone outside of your network comes up in our search results, you will not be able to see any information about them at all. This will make it impossible to cross reference their headline with Google and work out who they are. This will be a hit for people with smaller networks. Do feel free to send me an invitation to connect if you’re in recruitment and want to widen your network. Saved searches will go for basic users. I am still receiving search alerts for my saved searches, so I am guessing that this change will take effect once you have the new interface. Either that or it’s an oversight from the LinkedIn design team. There will be 20 search results page rather than the current 10. Those on a Job Seeker or Business levels of paid Premium accounts will be using this new LinkedIn.com interface so I can only assume that some of the benefits will get stripped out. If you are paying for these options, have a solid network, and do not use the InMails, it would be worth thinking about whether or not this is really good value for money. Sales Navigator and Recruiter users have a different interface for LinkedIn. These packages will keep their version of Advanced Search. Although, following the fairly recent changes to this interface, searching does not behave in a very predictable or intuitive way. It is not always clear how or where to enter Boolean or if it is working in the way you would expect. Some users on the Recruiter Lite licence are seeing messages from LinkedIn that state “There are several search tools within recruiter Lite to help you quickly find the right talent for your role without having to rely on more advanced search functionality such as Boolean search. To access Boolean and other advanced search features, please upgrade to Recruiter.” Thanks to Irina Shamaeva for sharing this. This means we are relying on LinkedIn to interpret our keywords. Notions of Maximum Inclusion are now in the hands of an unknown algorithm. Can we use Boolean without paying for Recruiter? Well, as always, we can still X-ray search LinkedIn. LinkedIn have tried to stop us looking at too many profiles via search engine links, but I am yet to find a profile that way that I was unable to view. If you’re not confident writing X-ray search strings, we have some Custom Search Engine (CSE) tools that you will like. Find them in our Free tools section here on the Sourcing Hat website. We have tools for finding UK profiles and profiles across Europe. We can also make more tools – if you ask us nicely. CSEs are a great way to get around some of Google’s search length limitations (currently at 32 terms). So, even if you are a confident X-ray searcher, it is worth learning about CSEs. Phew! What a lot of changes. I don’t think I have ever seen such dramatic changes to the site all at once since I started using it nearly 9 years ago. It feels to me like LinkedIn is finally admitting that it’s primary function (or at least it’s main income stream) is as a recruitment tool. They’re asking people about their salaries, giving people the opportunity to let recruiters know if they are open to opportunities, and they are finally going to give us better ATS integration (with ADP, Avature, Jazz, Kenexa, Lever, Lumesse, SmartRecruiters and Workable for now). 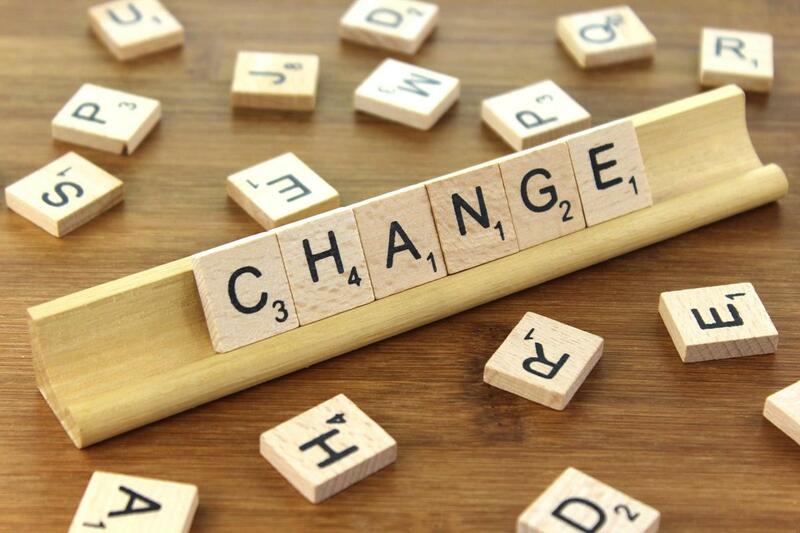 A big thank you needs to go out to Mark Williams (aka Mr LinkedIn), Irina Shamaeva and the folks at Social Talent for their fantastic coverage of these changes. It’s worth your time to follow all those links for more in depth analysis. What impact do you think these changes will have on your team?